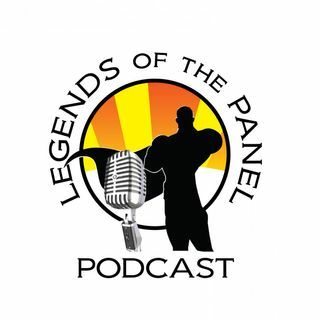 Thanks for listening and downloading Legends of the Panel Podcast, proud member of the Geek Culture Cast Network. Contact us @LegendsPanel on Twitter or @GeekCultureCast. On this episode, it is a real mixed bag as KJ, Chulak and the Lady Archer catch up after Chulak missing the last episode. We talk about DC Comics New Gods, and Plasticman as well as a ton of Marvel, DC and WB movie news and upcoming stuff. On a sad note, we also send our deepest condolences to friend, creator and awesome ... See More guy Chris Campana during this time of personal crisis. We ask listeners to check out First World Comic at their local comic book shop, and encourage you to ask for Chris' book available through Diamond. As always like and subscribe for all our episodes, and listen to the other shows on the Geek Culture Cast Network: Active Geek Podcast, and Warp My Tardis.